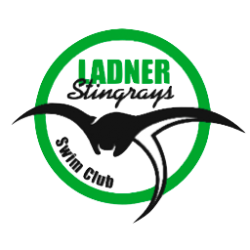 (e) “Underage Swimmers” means those persons who swim for the Ladner Stingray Swim Club who are under the age of 18 years. 1.3 Words importing the singular include the plural and vice versa; and words importing a male person include a female person and a corporation. 2.2 A Member Family may apply to the directors for membership in the Society and on acceptance by the directors shall be a member. 2.3 A Member Family shall be represented by one adult family member at any meetings of the members of the Society and such representative shall have one vote on behalf of the Member Family. 2.4 Honourary members shall be confirmed at an annual general meeting of the Society by vote of the members and upon such confirmation, honourary members shall have all the privileges of membership except that of holding office. 2.5 Every member shall uphold the constitution and comply with these by-laws. 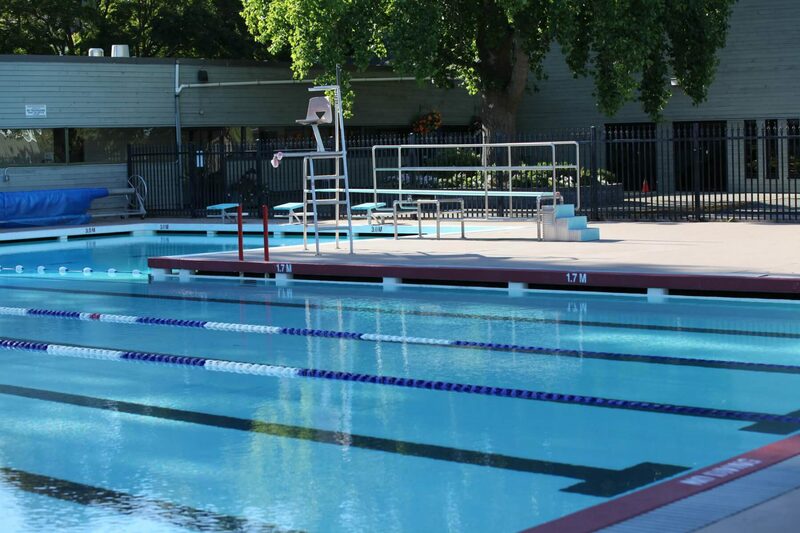 2.6 The amount of the membership dues shall be determined by the directors each year and shall cover the aquatic season, which runs from May 1 to April 30″ each year. 2.9 A brief statement of the reason or reasons for the proposed expulsion shall accompany the notice of a special resolution for expulsion. 2.10 The person who is the subject of the proposed resolution for expulsion shall be given an opportunity to be heard at the general meeting before the special resolution is put to a vote. 2.11 All members are in good standing except a member who has failed to pay his Current annual membership fee or any other subscription or debt due and owing by him to the Society and he is not in good standing so long as the debt remains unpaid. 3.1 General meetings of the Society shall be held at the time and place, in accordance with the Society Act, as the directors decide. 3.2 Every general meeting, other than an annual general meeting, is an extraordinary general meeting. 3.3 The directors may, whenever they think fit, Convene an extraordinary general meeting. 3.4 Notice of a general meeting shall specify the place, the day and the hour of meeting, and, in case of special business, the general nature of that business. 3.5 The accidental omission to give notice of a meeting to, or the non-receipt of a notice by, any of the members entitled to receive notice does not invalidate proceedings at that meeting. 3.6 The first annual general meeting of the Society shall be held not more than 15 months after the date of incorporation and after that an annual general meeting shall be held at least once in every calendar year and not more than 15 months after the holding of the last preceding annual general meeting. (vii) the other business that, under these bylaws, ought to be transacted at an annual general meeting, or business that is brought under consideration by the report of the directors issued with the notice Convening the meeting. 4.2 No business, other than the election of a chairman and the adjournment of termination of the meeting, shall be conducted at a general meeting at a time when a quorum is not present. 4.4 A quorum is 10% of the members of the Society or such greater number as the members may determine from time to time at a general meeting of the Society. 4.5 If within 30 minutes from the time appointed for a general meeting a quorum is not present, the meeting, if convened on the requisition of members, shall be terminated; but in any other case, it shall stand adjourned to the same day in the next week, at the same time and place, and if, at the adjourned meeting, a quorum is not present within 30 minutes from the time appointed for the meeting, the members present Constitute a quorum. 4.6 Subject to Bylaw 4.7, the president of the Society or failing him one of the other directors present shall preside as chairman of a general meeting. (b) the president and all the other directors present are unwilling to act as chairman, the members present shall choose one of their number to be chairman. 4.8 A general meeting may be adjourned from time to time and from place to place, but no business shall be transacted at an adjourned meeting other than the business left unfinished at the meeting from which the adjournment took place. 4.9 When a meeting is adjourned for ten days or more, notice of the adjourned meeting shall be given as in the case of the original meeting. 4.10 Except as provided in this bylaw, it is not necessary to give notice of an adjournment or of the business to be transacted at an adjourned general meeting. 4.11 No resolution proposed at a meeting need be seconded and the chairman of a meeting may move or propose a resolution. 4.12 In case of an equality of votes the chairman shall not have a casting or second vote in addition to the vote to which he may be entitled as a member and the proposed resolution shall not pass. 4.13 A member in good standing present at a meeting of the members is entitled to one vote. One adult member of the Member Family shall represent each Member Family and such representative shall have one vote on behalf of the Member Family. 4.14 Voting is by show of hands. 4.15 Voting by proxy is not permitted. (c) rules, not being inconsistent with these bylaws, which are made from time to time by the Society in general meeting. 5.2 No rule, made by the Society in general meeting, invalidates a prior act of the directors that would have been valid if that rule had not been made. 5.3 The officers of the Society shall be a President, Vice-President, Secretary, Registrar, Treasurer and Past President. The officers shall be elected by the directors from among themselves at the first meeting of the directors following the annual general meeting each year. 5.4 The officers shall be elected for a two year term. 5.5 The number of directors shall be six or such greater number as may be determined from time to time at a general meeting. 5.6 The directors shall be elected for a two year term, except in an election when all positions are available, in which case one-half of the directors shall be elected for a one year term. 57 Unless otherwise provided by the members present at the annual general meeting, the officers shall be elected at each annual general meeting, by acclamation or by ballot, as determined at the meeting. 5.8 lf no successor is elected the person previously elected or appointed Continues to hold office. 5.9 The directors may at any time and from time to time appoint a member as adirector to fill a vacancy in the directors. 5.10 A director so appointed holds office only until the conclusion of the next following annual general meeting of the Society, but is eligible for re-election at the meeting. 5.11 lf a director resigns his office or otherwise ceases to hold office, the remaining directors shall appoint a member to take the place of the former director. 5.12 No act or proceeding of the directors is invalid only by reason of there being less than the prescribed number of directors in the office. 5.13 The members may by special resolution remove a director before the expiration of his term of office, and may elect a successor to complete the term of office. 5.14 No director shall be reimbursed for being or acting as a director but a director shall be reimbursed for all expenses necessarily and reasonably incurred by him while engaged in the affairs of the Society. (c) the defence of any civil, criminal or administrative action of a proceeding to which the director or officer if made a party by reason of being or having been a director or officer of the association if the director or officer was substantially successful on the merits in his defence of the action or proceeding, if the director or officer has acted honestly and in good faith with a view to the best interests of the Society and in the case of a criminal or administrative action or proceeding that if enforced by monetary penalty, the director or officer had reasonable grounds for believing that his/her conduct was lawful. 6.1 The directors may meet together at such places as they think fit for the dispatch of business, adjourn and otherwise regulate their meetings and proceedings, as they see fit. 6.2 The directors may from time to time fix the quorum necessary to transact business, and unless so fixed the quorum shall be a majority of the directors then in office. 6.3 The president shall be chairman of all meetings of the directors, but if at a meeting the president is not present within 30 minutes after the time appointed for holding the meeting, the directors present may choose one of their number to be chairman at the meeting. 6.4 A director may at any time, and the secretary, on the request of a director, shall, convene a meeting of the directors. 6.5 The directors may delegate any, but not all, of their powers to Committees consisting of such director or directors as they think fit. 6.6 A committee so formed in the exercise of the powers so delegated shall Conform to any rules imposed on it by the directors, and shall report every act or thing done in exercise of those powers to the earliest meeting of the directors to be held next after it has been done. 6.7 A Committee shall elect a chairman of its meetings, but if no chairman is elected, or if at a meeting the chairman is not present within 30 minutes after the time appointed for holding the meeting, the directors present who are members of the committee shall choose one of their number to be chairman of the meeting. 6.9 The chairman of a committee shall be responsible for reporting to the directors at a their meetings but the committee chairman shall not have a vote at directors’ meetings. 6.10 Questions arising at a meeting of the directors or Committee of directors shall be decided by a majority of votes. 6.11 In case of an equality of votes the chairman does not have a second or casting vote. 6.12 No resolution proposed at a meeting of directors or Committee of directors need be seconded and the chairman of a meeting may move or propose a resolution. 6.13 A resolution in writing, signed by all the directors and placed with the minutes of the directors is valid and effective as if regularly passed at a meeting of the directors. 6.14 Any two directors of the Society shall be authorized to sign such documents as may be necessary to be executed on behalf of the Society provided that such actions are approved in advance by a majority of the directors and/or the members of the Society as required under the Society Act. 7.1 The president shall preside at all meetings of the Society and of the directors. (e) have custody of the common seal of the Society. 7.4 The Registrar shall keep a register of the members of the Society. (b) render financial statements to the directors, members and other when required. 7.6 The Past President shall be a member at large on the board of directors and shall serve in an advisory capacity to the directors. 7.7 In the absence of the secretary from a meeting, the directors shall appoint another person to act as secretary at the meeting. 8.2 The common seal shall be affixed only when authorized by a resolution of the directors and then only in the presence of the persons prescribed in the resolution or if no persons are prescribed, in the presence of the president and secretary or president and Secretary-treasurer. 9.1 In order to carry out the purposes of the Society the directors may, on behalf of and in the name of the Society, raise or secure the payment or repayment of money in the manner they decide, and, in particular but without limiting the foregoing, by the issue of debentures. 9.2 No debenture shall be issued without the sanction of a special resolution. 9.3 The members may by special resolution restrict the borrowing powers of the directors, but a restriction imposed expires at the next annual general meeting. 10.1 This Section applies only where the Society is required or has resolved to have an auditor. 10.2 The first auditor shall be appointed by the directors who shall also fill all vacancies occurring in the office of auditor. 10.3 At each annual general meeting the Society shall appoint an auditor to hold office until he is re-elected or his successor is elected at the next annual general meeting. 10.4 An auditor may be removed by ordinary resolution. 10.5 An auditor shall be promptly informed in writing of appointment or removal. 10.6 No director and no employee of the Society shall be auditor. 10.7 The auditor may attend general meetings. 11.1 Unless otherwise determined by the Board of Directors, the fiscal year end of the Society shall be September 30″. 12.1 A notice may be given to a member, either personally, or by mail to him at his registered address, and by posting such notice on the Notice Board at the home swimming pool at which the Swimmers practice. 12.2 A notice sent by mail shall be deemed to have been given on the second day following that on which the notice is posted, and in proving that notice has been given it is sufficient to prove that the notice was properly addressed and put in a Canadian post office receptacle. (b) the auditor, if Section 10 applies. 13.1 On being admitted to membership, each member is entitled to and the Society shall give him, without charge, a copy of the constitution and bylaws of the Society. 13.2 These bylaws shall not be altered or added to except by special resolution.